Having an outdoor wedding can be an either fun experience or a complete wreck. That will highly depend on your planning skills. Don’t get us wrong we do believe that the positives of an outdoor venue are greater than the negatives just because your guest will have plenty of room to spread out during the reception. There is also the charm of being next to a perfect scenery. However, these locations are often placed in areas that are not intended for large numbers of restroom users so you are most likely going to need few extra toilets in order to avoid having miserable attendees. When we say restrooms we are not referring to the “blue boxes” that you might have used any time recently. Instead we are talking about state of the art bathrooms with hot and cold running water, granite counter tops, flushing toilets, air conditioning (or heat), real hand towels and attendants on-site to keep the units sparkling clean. Weddings are elegant and your mobile restrooms should be as well. Luxury Porta Party can assist you with all of your outdoor event restroom needs. They are the prime luxury restroom rental service in Eastern Ontario servicing Kingston, Ottawa, Gananoque, and the 1000 Islands. With Luxury Porta Party you will not have to worry about anything because they’ll take care of everything that needs to be done. They’ll deliver their luxurious portable bathrooms to any venue, with special delivery options available for islands and rural areas. The best part is that they offer concierge services that takes care of the cleanliness of the luxurious bathrooms at all times. They will provide you and your guests with a restroom experience where users actually will enjoy their visit and look forward to going back. The days of holding your breath while running into an unpleasant portable toilet are over! Planning for your guests bathrooms needs will ensure that they are comfortable at your outdoor wedding. 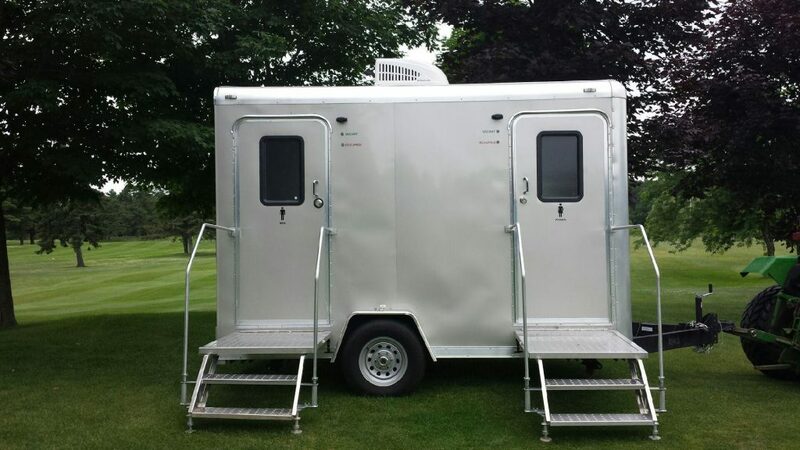 To order these luxurious portable restrooms for your outdoor wedding, contact Luxury Porta Party at luxuryportaparty@yahoo.ca or 613-213-2431 today!